Rated 5 out of 5 by Jano145 from Love this Game This is a fun, relaxing game that I play over and over until the next in the series comes out. I really love that this one has brighter, more colorful images. Wish the music reflected that. Still, this is my favorite genre of solitaire games and my favorite developer. Has taught me patience and observation. Rated 5 out of 5 by Boomer47 from Simple Old Fashioned Fun I have every solitaire game by this developer. While there is really never a story in the games and the titles are a bit random but sometimes related to the images they are my go to relaxing games. They can be quite challenging at the higher levels and provide hours of good old fashioned higher/lower playing fun. While I usually play large file adventure, escape the room and challenging no hand holding games I do not expect every game to be challenging, innovative and different. Sometimes I prefer to enjoy an evening of relaxing gaming. If you are expecting something amazing or different, this is not your game. If you want a good old meat loaf and mashed potatoes game this is fills the bill. Rated 4 out of 5 by melissa845 from Good Game! Solitare is one of my fav types of games...I have found that trying is the best way for a player like myself to find out if the game suits them. The story line is not as important to me as the game-play..Just the right amount of challenge to keep one on top of the game. Rated 4 out of 5 by intlwoman from Game Genre from this Developer not that bad This is your basic solitaire game from 8th Floor. The challenges lately have been much better than a few years ago, when you could barely win a hand. There are other games out there that let you add cards, more frequent shuffles, prizes, etc., but the developer sticks to the basics with this game. You have to win the gold cards by a certain number on each level group to proceed to the next. 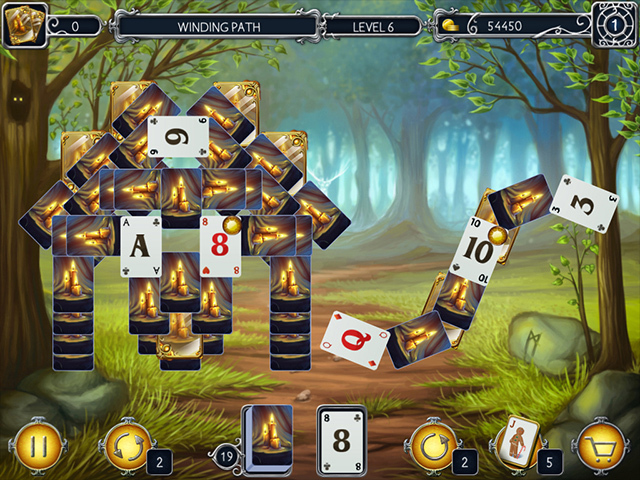 You have to look at each hand to spot how the gold cards are hidden and how to get to them. You're not given a lot of help as earlier mentioned, so you have to think with each step. These solitaire games are not as bad as some of the reviews make out. I'm in the minority, but I like the solitaire from this developer. You have to do more with less, so that's the challenge. Rated 4 out of 5 by tejasgal from Actually Different Many say this developers solitaire games are all the same. I will admit that many of them do seem that way. 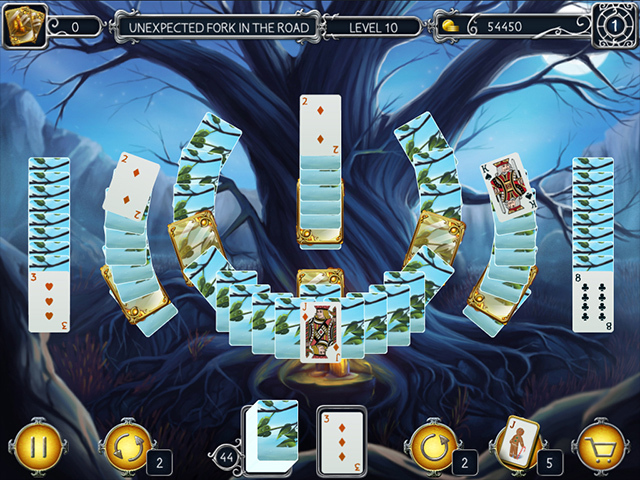 What I mean is the layouts of the cards and the difficulty level. Of course the game is the same...It is a one up one down type and you need to find the gold cards to complete the levels. But, I have played 20 levels so far and CAN say that the layout of the cards is different, and the challenge level is fairly good (took me until level 17 to have to replay a level in newbie mode). Also enjoying the lighter look/theme of the game. The background is lighter which is a relief after all the darker themed games lately. Try it for yourself. 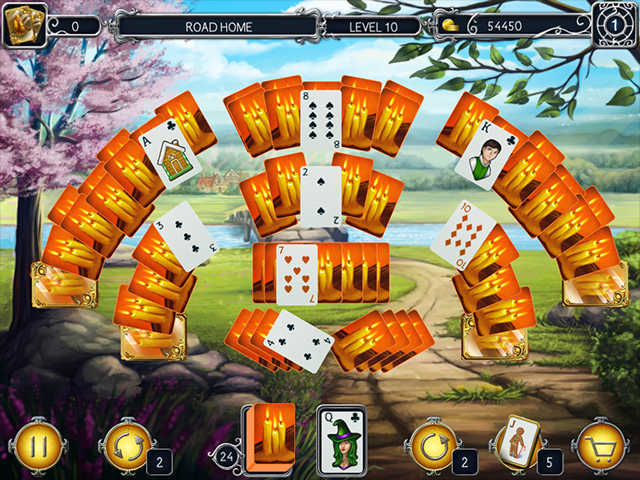 If you like this type of solitaire game, you may just be surprised by this one. Rated 4 out of 5 by deddu from TO EACH HIS OWN If you like these games where you have to find the "golden" cards then this is another along the same theme. Obviously some people do not care for them. I happen to like all of them and I have even found match 2 solitaire games by these developers which go very fast. Always try to see if it is your cup of tea. Rated 3 out of 5 by pzzllvr from Good card play but what is objective? I am having trouble getting to the next level even when I have played all previous levels and some perfectly. I have to go back and play again to get the game to let me progress to next level, and sometimes it won't let me Not crazy about this. I bought the game and not sorry yet. It is a nice distraction kind of game. 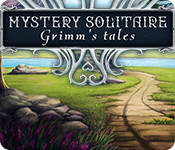 Rated 3 out of 5 by Sante001 from Played One-Payed This One Too I will start of by saying that I am one to give a game a try, so if you have not played this type of solitaire game before, give it a try. But don't get to excited because there is not much of a challenge in this game. There are two levels, newbee where you can replay any level and professional, where you only can replay the pack. You can purchase three items while playing, undo, shuffle and jokers. You cannot purchase other upgrades which takes away from the game. After playing through 20 levels, the game became boring. Be beginners, I recommend giving the game a try, but for expert solitaire game players, you may find this game a disappointment. Rated 2 out of 5 by verimeri from How Did Grimm's come into this Same old thing from 8 floor games. There is no story at all. They simply tack a new name and slightly different layouts to the same game over and over. I tried it thinking maybe they had listened to previous criticism and added something to the game. They haven't. If you have one 8 floor solitaire game you have them all. Do not bother to buy another one. Rated 2 out of 5 by JanG7 from Been There, Done That If you are new to this type of solitaire, give it a try. I only played the first seven hands and was bored to death. The graphics and sound are excellent, but there was absolutely no "mystery" to keep me interested.